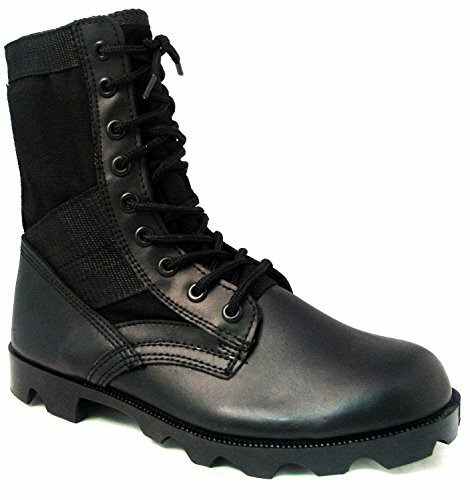 Men's G. I style jungle military boots, Black leather & nylon upper, vent holes in arch, lace up, removable cushion insole, Panama outsole. If you have any questions about this product by G4U-VLC, contact us by completing and submitting the form below. If you are looking for a specif part number, please include it with your message.